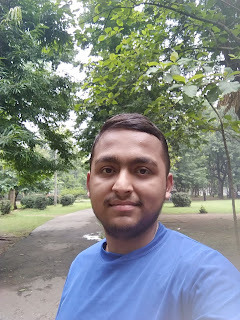 Hello Guy If you have a good domain then you Make money by selling that domain if you are doing it. In this post how do I call you a domain in auction so that more money can be found in that domain. 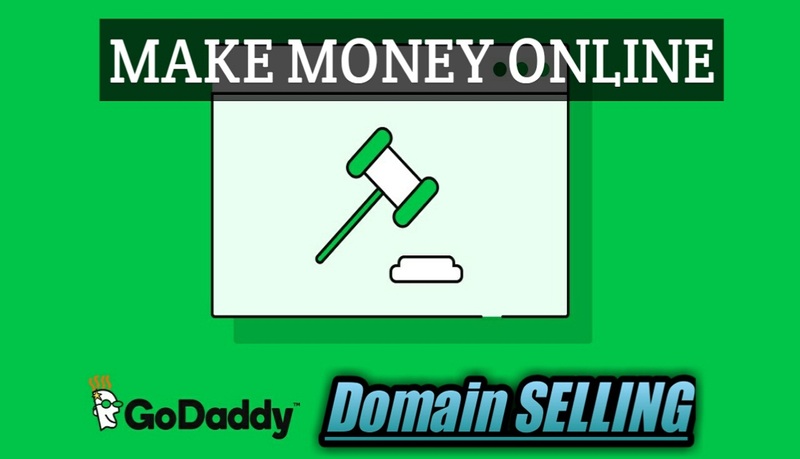 Here I am going to tell you about how to sell your domain through bidding in the Godaddy auction. So if you run a website then you will know what is domain. If you are a beginner then let me tell you that the domain name (address) is your website. Like facebok.com, google.com & allonlinetricks.com these all are domain. Which have to buy and when these domains become very popular their prize too becomes very high in the market. So if you have a great domain then you can make good money by selling it. How much we can sell the domain ? So Guys if this question will be coming to your mind that how much we can sell our domain so it depends on your domain. What level does your domain have? If your domain is a bit old or popular then that domain has a lot of chances of having a sell and if your domain is new but unique you can easily sell it in go down auction or other platform. You can sell your domain from 1000 to millions dollars. 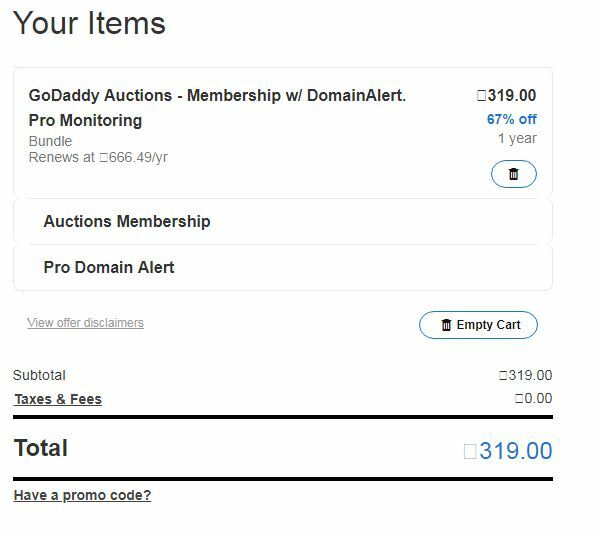 How to get a Godaddy domain auction membership ? 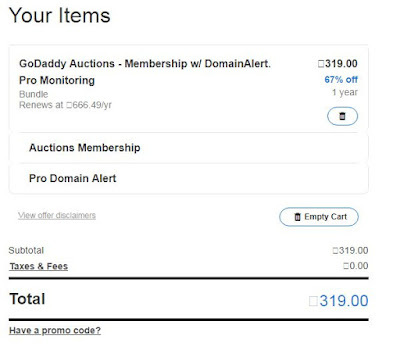 Friends have to take the auction membership of the Godaddy to sell their domain in the auction in the Godaddy. Which is $ 3- $ 4 for 1 year. Step-2. 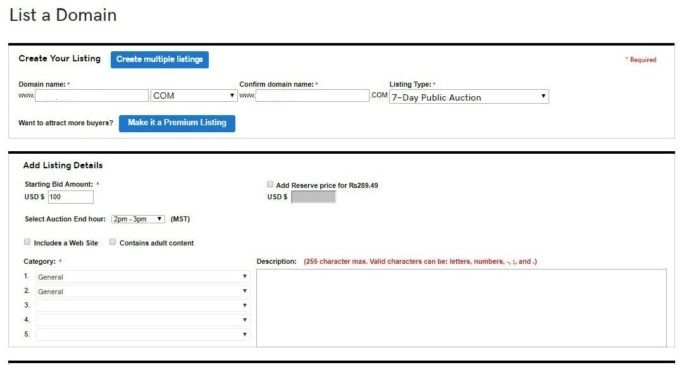 After login you will get the option of domain auction when you go to the section of the domain. After that there will be an auction option. Click on that. Step-3. After clicking Join Now you will be taken to another page to fall on the Godaddy terms and condition. So you read that terms and condition. After that click in Join. Step-4. You will now have to pay to get membership. You will get 400 rupees here. So you make a payment. After payment you will get Auction Membership from the Godaddy. Now you can sell your domain in the auction. How To Sell Domain in Godaddy Auction ? I Hope you have taken your membership. Now you have to sell your domain in the auction for that you follow these steps. Step-1. First go to the auction auction click on it you will get the option of the domain of the list. Step-2. Enter the name of your domain And click in the listing type in the 7 Days Public auction. Step-3. Prices dell of the domain you can start at a minimum of $ 20 Select general in category. You can also add a description of your domain. Step-4. After that select your payment option. Click the Agree in the terms and condition and click in the finish button. After that you have to wait for a while. Confirmation will be mailed to you on behalf of Godaddy. So Friends you can list any of your domains in this way. Anyone can now bidding in your domain after that you can take your domain. 1::>> Your domain will not show in the auction page to put the domain in public auction with Auction Membership. If you want your domain to be show in the home page you will have to pay 1200 rupees and charge. 2::>> The price at which your domain is sold 20% of the price will be kept and you get 80%. 3::>> The Godaddy takes a lot of charge but the chances of having a domain sell in that is very high. Because the Godaddy is still the largest domain selling company and many people in the heel can come to purchase a domain. How to buy a great Expiry domain from the Godaddy and earn money its information will be found in a previous post. How do you know this information tell it by commenting? And if you have a strong relation with the domain auction then definitely ask. Thanks for reading this helpful Information.